I am signed up for the A to Z blog Challenge again for this April. 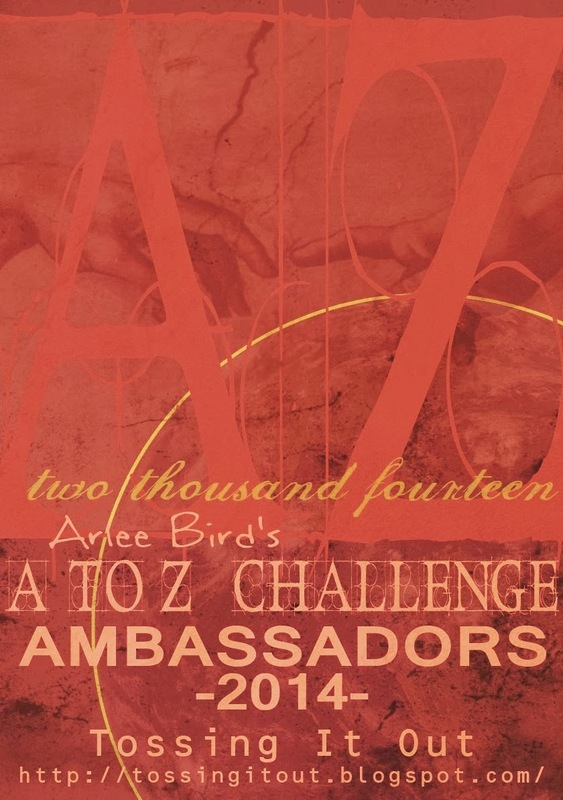 Not only that, I am once again one of the "Ambassadors" for the challenge. Basically this means I am a cheerleader. It will be my job to go through the sites in the challenge and give them encouragement. I am once again working with Master Blogger Arlee Bird over at Tossing It Out. In addition to the list of sites that my group will monitor I am also going to be hitting all RPG sites in the hop. I think this is a great outreach opportunity. My hits increase by 300% and some of those stay on. It is my version of evangelism. If you are part of my regular set of readers and you are going to do this let me know! I will make sure I add you to my list. I mentioned here and here that this year I am doing an A to Z of Vampires. This hopefully will support two different projects I am working on. These projects are still in draft phase now, in fact one is not even in that yet. But Vampires are something I have always enjoyed. In fact in most circles before I was "the witch guy" I was "the vampire guy". Like last year there will be plenty of RPG stuff, but there will also be more general horror posts too. Trying to please all my audiences. Hope to see you in the Challenge! Great to be alongside you again this year Tim. I hope I haven't missed any with the (GA) tag. I might have missed some without the (GA) tag. So happy to have a blogger with your skills working alongside me. It will be another great year. Thanks, Tim.